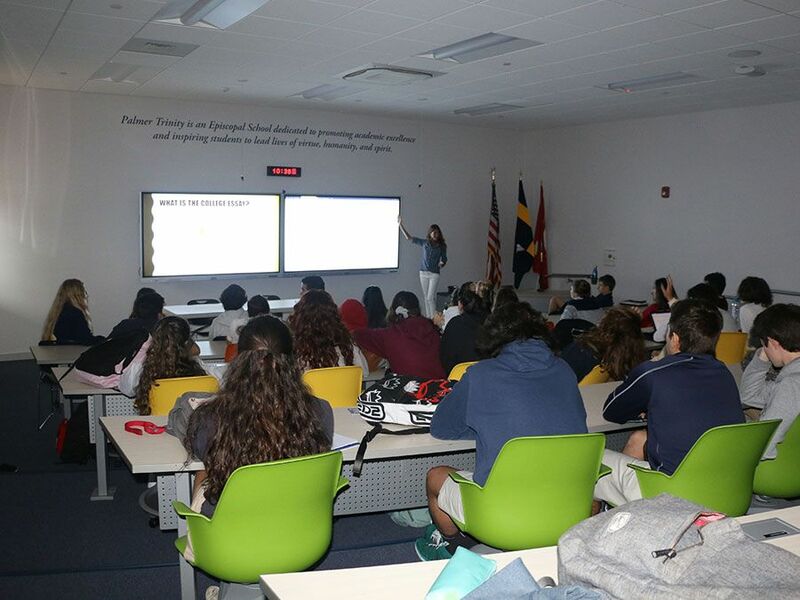 On Thursday, April 4th, Mrs. Paschick led the 11th-grade class in the first of two College Essay workshops. 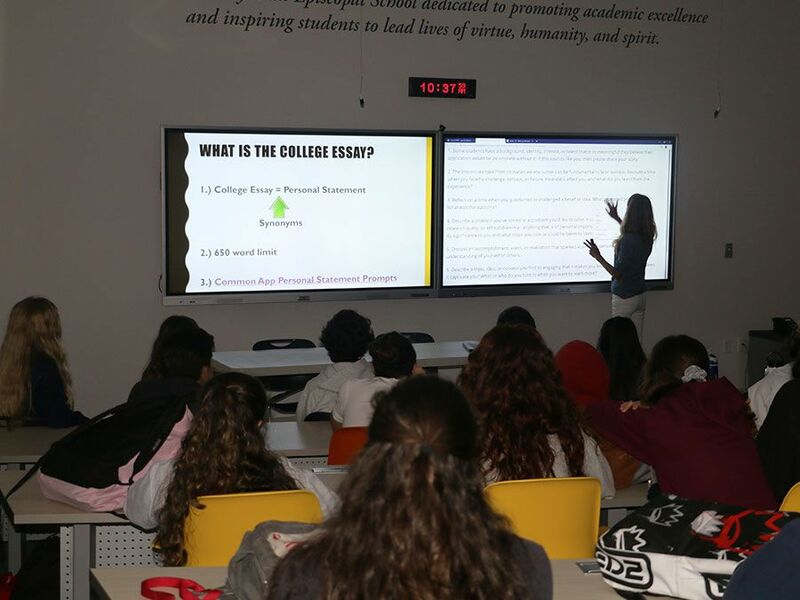 The first segment of the workshop, Expectations of the College Essay and Choosing a Topic, began to acquaint students with the college essay writing process and inspire their creativity. Students will engage in a second workshop during FLEX time on Tuesday, April 16th, that will provide tools and resources for structure and organization. Mrs. Paschick and the College Counseling Office have been working in tandem with 11th grade English teachers to provide a wealth of support to students beginning to navigate the college essay and the college admissions process. Students will be doing a deeper dive into exercises and tools specifically tailored to their needs within a comprehensive unit on the personal statement in their English class. Upon completion of this unit, each student will have produced a high-quality personal statement.